I've done much Logo Creation over the years and the one thing that has always made it easier is when I am given an idea. Anything can be done it just takes a bit of work. 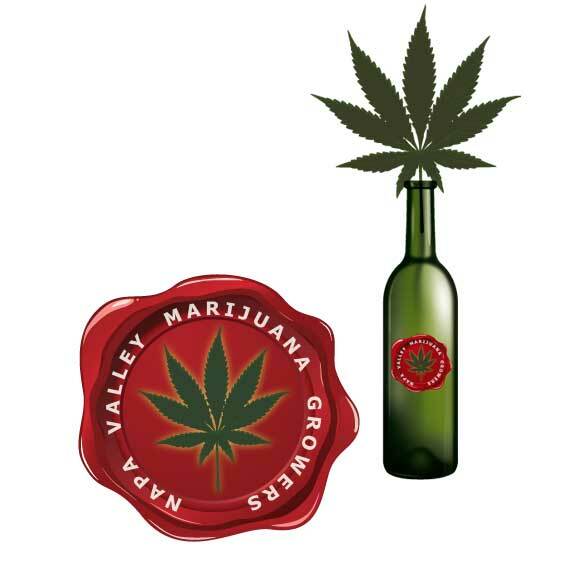 Napa Valley Marijuana Growers came to me wanting a more professional logo that gave a better image. The first grower to join the Farm Burea and Chamber of Commerce they were working hard to make it a respectable business and wanted to portray themselves appropriately. After talking to the owners they wanted to combine wine and a leaf as both a wax droplet like the top of a wine bottle and perhaps on the side of a wine bottle with some whimsical touches.